Hi everyone, great news! 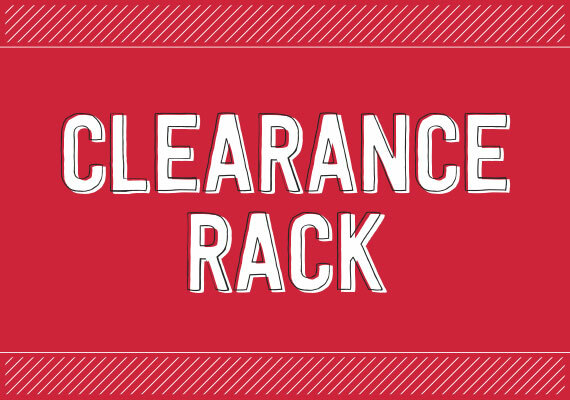 The Clearance Rack has been updated with some AWESOME products at fabulous prices! You can check out the Clearance Rack here. Hi, a super quick update to let you know new items have been added to the Clearance Rack in my online store! Supplies are limited, and with discounts up to 70%, products will go quickly. Shop now and stock up. Woohoo! If you are after a bargain, then check out the Clearance section of my store. It has just been updated! Hi Everyone, just a reminder that even though we are all eagerly awaiting the new annual catalogue release on Thursday, 01 June 2017, don’t forget that tomorrow is the final day you can order from the 2017 Occasions Catalogue and the 2016-2017 Annual Catalogue. You can order online at Stampers Workshop! Happy Shopping! Hi Everyone, just popping in to let you all know that Stampin’ Up! has added new items to the Clearance Rack. The items are available only while stocks last. Get in quick if you see something you like! Don’t forget about all of the Retiring Items from the current catalogue. They, too, are only available while stocks last or the 31st May (whichever comes first!). Some items have already sold out! All items can be purchased from my online store at Stampers Workshop. Please let me know if I can be of any of assistance.